A rumor has wafted up from the murky plains of Chiphell’s less reliable forums (via Overclock3d) and claims that AMD is working on a 16-core/32-thread CPU based on the Zen architecture. We already know of the Naples chip but that is part of AMD’s server spectrum and if there really is a 16 core chip in the commercial spectrum then it would be branded as a Ryzen part. Public knowledge by now but AMD has a new HEDT platform coming out in a couple of months. You’ll see more of it at Computex I believe. It’s a 16 core /32 Thread, quad channel behemoth. And it is insanely quick in the tests that Ryzen is already excelling at. So Cinebench, and all other related productivity programs. The gaming issues that were causing the Ryzen AM4 CPUs to behave erratically to say the least have been ironed out. It’s akin to a newer revision on a newer platform. This should be competing with the Xeon and of course 6950X Intel offers for $1700~$1800USD, but at about $1,000 USD if not less for some Skews. Coming soon. CPSs are pretty big physically, about twice the size of surrent 6950X CPUs and a bit more perhaps. And if you were hoping for pins, nope it’s strictly LGA! It’s NOT 8 channel, but Quad. Will be a splendid competition between X299 and this AMD platform. Skylake-X is pretty good, not revolutionary but a meaningful step up in IPC and the clocks are pretty high as well. If Intel will have a 32 core part to compete on X299 remains to be seen, but the HEDT platform is going to change quite a bit in the next 4 to 6 months.? The Naples chip of course has been spotted multiple times on Zauba’s shipping database. The Summit Ridge platform is AMD’s mainstream platform with Zen architecture and 8 core dies. Naples on the other hand is the codename of the server platform; the very same platform which will be rocking Zen in 32 core flavors. This is not to be confused with the Zeppelin platform which will include a 32 Zen core/Vega based APU as well. The 32 Zen cores are tied together using AMD’s very own Coherent Fabric. The homegrown interconnect will support data rates of upto 100GB/s which is a lot faster than what the PCIe interface sustains (around 15GB/s). Not only that but latency has been reduced from 500ns to an unknown but allegedly smaller number. Thanks to AMD’s lego-like build philosophy even Naples will actually be fabricated in an 8 core base design, with 16 and 32 core chips being produced in an MCM (Multi Chip Module) format. Up till now however, we had seen no real evidence (apart from the usual documentation) that such a monster processor was actually on the charts in the near future. The shipping entry was marked 20th June 2016 and lists the Naples Test Board. It is marked FOC which I assume stands for ‘Full Operational Capability’ meaning AMD has achieved this significant milestone in its Zen roadmap quite some time ago. Here’s the thing though, this very same lego-like build philosophy can allow AMD to roll out a 16 core variant in the commercial space as well, since both utilize the same socket, it really shouldn’t be an issue at all. In fact, yield theory dictates that AMD can roll out any number of cores from harvested dies from failed Naples chips (this includes 10 core, 12 core and yes even 16 core chips). Interestingly however, the rumor says that such an SKU might be based on the LGA socket – that would increase the difficulty of porting and conflicts with AMD’s current philosophy and is the one thing that makes me doubt the authenticity of this rumor. 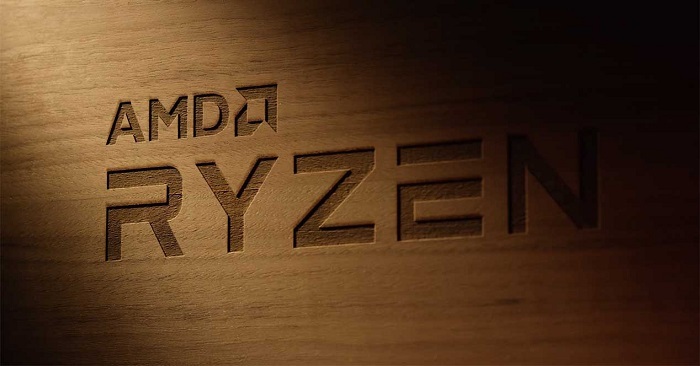 That is to say that AMD can easily roll out a 16 core Ryzen processor but its not going to be based on LGA – for that to happen, it will need to revamp everything from scratch and create a new socket (which this rumor dubs as the X399 socket).